This customer’s Engagement Ring had a slim band and the 4 claws set in a way that can make the gap even larger if you want to wear it together with a wedding band. 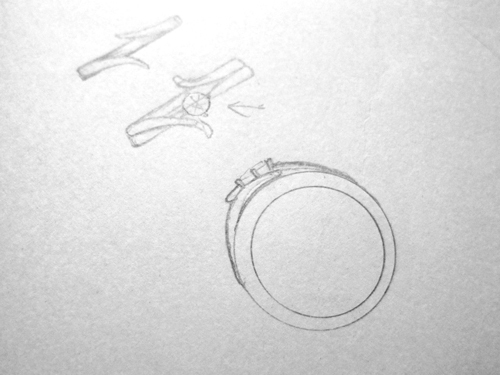 In order to make a wedding ring that would look good worn together with the engagement ring, we had to come up with a creative solution. This couple had an idea of making a wedding ring that ’embraced’ the engagement ring, so that is how we started. 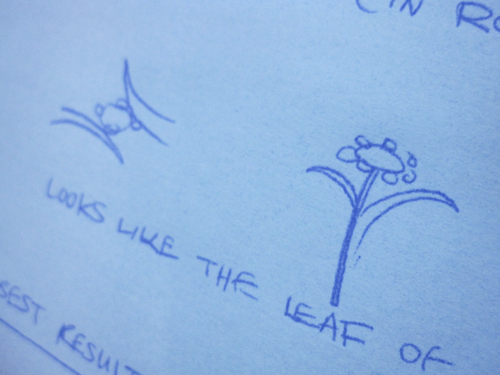 We were inspired by the shape of a flower – a tulip opening up, if you will. Trying the size and checking that the rings look the way they were intended. 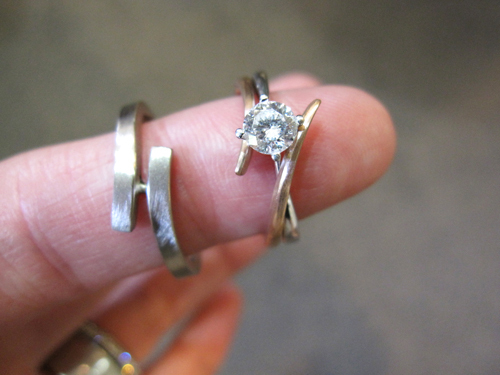 This wedding ring enhances the engagement ring and makes both rings look better worn together than they do separately. Following the lady’s ring, we made a Men’s ring with the same overall shape, but with straight lines and matte finish for a rougher look. The lady’s wedding ring is set in Rose Gold for a nice 2-tone effect worn together with the White Gold engagement ring. In order to match the colour, we made the Men’s ring in White Gold original colour, for a less shiny look. 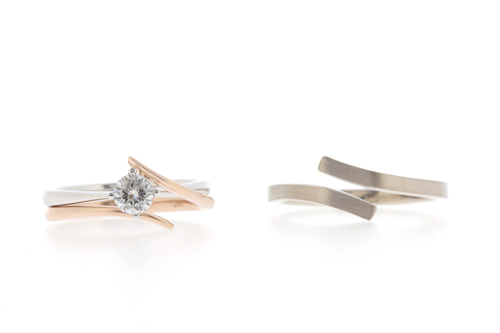 For more wedding ring inspiration, see Matching Rather than Identical and Where is the Diamond? Hi, I’m interested in this design and slim wedding ring. Can you email me the price for these 2 designs? Thanks. We have sent you an email and look forward to your reply. Hi, I am also interested in this design. Can you email me the price too? Thanks! Hi Joy, We will send you an email with more information.